Brussels figures say there is new momentum in Brexit talks. Progress has been made on some issues but the Irish border issue remains the biggest sticking point. But Downing Street pushed back on suggestions that both sides are close to a deal. The UK is set to lay out new proposals for the Irish border this week, and it remains unclear whether the EU will be receptive to them. Both sides hope to wrap up a deal by November. LONDON – After months in which the prospect of a Brexit deal looked increasingly unlikely, negotiators in the European Union say talks have regained momentum. While Downing Street moved to dampen any over-excitement about the prospect of a deal on Monday, senior figures in Brussels are now talking up the prospect of a deal in much more positive terms than even a few weeks ago. “I have a hope, which is close to certainty, that at the end we’ll manage to achieve an exit deal and a declaration about future relations which will be the best possible,” said European Council President Donald Tusk on Saturday. However, Downing Street pushed back on suggestions that both sides were close to a deal on Monday. “We have always said we are working hard for a deal this autumn and that continues at pace,” the prime minister’s spokesman told journalists at a press briefing attended by Business Insider. “There is a difference between people talking optimistically about a deal … and it actually being agreed. There are still big issues to be worked through,” he said. “There can be no agreement without a precise future framework,” the spokesman said. Privately, Downing Street sources told BI that the EU was talking up suggestions of a deal being imminent as a negotiating tactic. Issues including how future UK-EU disputes should be handled, and the rights of EU citizens who live on European military bases, appear close to being resolved, according to a Politico report. That momentum has buoyed negotiators in Brussels who have seen little in the way of progress for months. The Irish border issue remains the biggest sticking point for both sides, however. 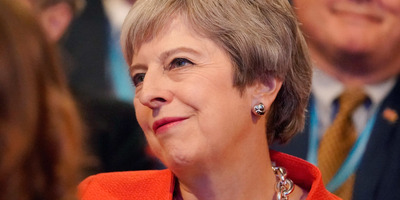 Both sides need to find a deal acceptable to the EU, the Conservative Party, and Northern Ireland’s Democratic Unionist Party, or the deal is likely to be rejected in parliament. The UK is planning to bring forward a new proposal for the Irish border within days which aims to ensure no border emerges between Northern Ireland and Ireland. Those proposals will likely see May ask for the whole of the UK to remain in the customs union as a temporary measure in return for accepting EU single market governance in Northern Ireland. The question of whether the EU will accept such an arrangement remains to be answered. When will a deal be reached? The best case scenario would see a decision wrapped up by November, giving the UK and EU parliaments enough time to scrutinise and vote on the deal before March next year when Britain will leave the bloc. The Brexit deal will be composed of two documents: the Withdrawal Agreement, which will detail at some length divorce issues such as the rights of EU citizens and the Irish border, and the political declaration on the future relationship. That second document will be a more vaguely worded document which sets out the aspirations for both sides of an ambitious free trade deal. The EU’s chief Brexit negotiator Michel Barnier will present a draft of the political declaration – which he is currently writing – to ambassadors from the EU27 in the coming weeks. That would lay the groundwork for a deal to be agreed at an as-yet unscheduled extraordinary summit in November.